Sonography Programs In Arizona - Which AZ Colleges Are Accredited? Living in Arizona and thinking about becoming a diagnostic medical sonographer or ultrasound technician? You’ll probably be interested in taking a look at the various sonography programs in Arizona. It’s a great time to enter the field of sonography, as sonographers are in short supply across the entire country. Because new ultrasound procedures are being introduced, ultrasound technician jobs are forecast to increase by around 18% a year for the next 10 years. Looking at pay scales, the average salary for a sonographer in Arizona is around $67,000. Which Sonography Programs In Arizona Are Available? When training to become a sonographer or ultrasound technician, you can become professionally qualified by taking one of three types of diagnostic medical sonography programs in Arizona. 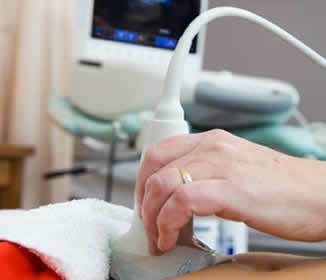 These ultrasound courses fall into two groups – certificate level education, and degree programs. Generally speaking, ultrasound certificate courses are favored by medical professionals with some existing healthcare experience e.g. medical assistants, physicians and health care specialists. Education gained as a result of previous healthcare qualifications (such as degrees) is usually taken into account, and used to gain credits and exemptions from modules within the diagnostic medical sonography certificate course. So medical professionals with relevant healthcare degrees can generally complete certificate sonography programs in Arizona in under a year. If you don’t possess a healthcare degree, the good news is there are sonography programs in Arizona which will allow you to enroll without any prior healthcare experience. The only difference is that your course will take 21 months to complete instead of a year. There are also two types of degree programs to consider. An associate’s degree (also known as an Associate of Applied Science Degree in Diagnostic Medical Sonography) will take you two years to gain, and is an extremely popular choice for high school students. Most associate’s degree sonography programs in Arizona essentially have the same course work as the certificate level, plus some additional modules to meet the AAS degree requirements. You’ll also spend a little more clinical time using ultrasound imaging equipment and working with with patients. 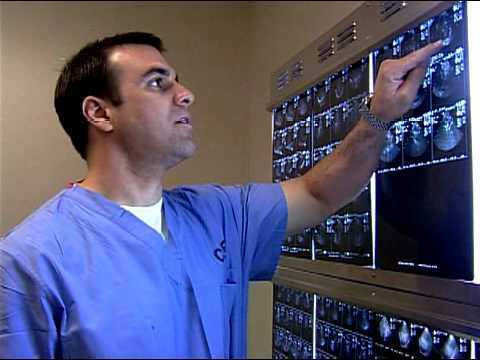 Associates degree sonography programs in Arizona are generally available. The second type of degree based sonography programs in Arizona is a bachelor’s degree. In contrast to associate’s degree programs, bachelor’s degrees have a broader syllabus and are run over a term of four years. Because they offer a more comprehensive education, bachelor’s degree programs tend to be chosen by students who intend working in research or in sonography management. One of the key benefits of having a bachelor’s degree is that it will set you apart from other candidates when it comes to finding your first job. Most employers recognize that bachelor’s degree holders have undergone a lot more ultrasound training, so if you have a bachelor’s degree you’ll have access to more senior jobs and almost certainly enjoy a higher sonographer salary. There are currently no accredited bachelor’s degree sonography programs in Arizona, so you may need to look at colleges outside the state if you want a bachelor’s degree. In terms of sonography programs in Arizona, there are a few colleges and schools offering ultrasound and sonographer courses. You should only ever think about joining a sonographer course which has been CAAHEP assessed and accredited. If you take a course which hasn’t been approved, you’ll generally find it a lot harder to get sonography jobs. In addition, if you want to become a member of the American Registry of Diagnostic Medical Sonographers (ARDMS) it will take you a lot longer if your course hasn’t been accredited. GateWay Community College – Phoenix, Arizona. 108 North 40th Street, Phoenix, AZ 85034. Located in Phoenix, GateWay Community College was founded in 1968 and became the very first technical college in the state of Arizona. Gateway offers students the most highly respected sonography programs in Arizona, plus a choice of over 125 other certificate and degree programs. Within its faculty of diagnostic medical sonography, GateWay is the only accredited provider of CAAHEP accredited certificate and associate’s degree sonography programs in Arizona. Whilst GateWay is the only campus based college offering accredited sonography programs in Arizona, you do have some other choices. Some students prefer to instead gain their ultrasound technician and sonographer qualifications by taking online ultrasound courses instead. The key benefits of online sonographer training are greater flexibility and potentially lower course costs, so you may wish to include them within your search for accredited sonography programs in Arizona.